As the New Year begins, even though the Islamic calendar began a couple of months ago, many will think about opportunities and blessings that lie ahead and of what may become. We will also reflect on the time we shared with those who are no longer with us as well as those who have come into our lives. Such is the circle of life which teaches us to appreciate what we have for we know this too shall pass with time. The beginning of a New Year is a great time to reflect and renew good intentions; it’s common to consider making resolutions; a tradition that deserves attention all year round. I’m a bit of a skeptic when it comes to making New Year’s resolutions but I do appreciate they can provide some people that extra push to commit to something useful. This year whilst you think about running a marathon, taking up a sport, travelling or learning a new skill, consider what you can do to appreciate each new day that arrives. If you’re able to take a moment to consciously be present in each day, with yourself and in front of God, then you’ve achieved more than most. Being conscious means you can benefit from your time by making purposeful choices instead of passing from one day to the next without paying too much attention. It means ensuring that we constantly remind ourselves of our purpose and ask if we what we are doing is pleasing to God. I will be reflecting on our challenges and achievements of 2014 and look forward to new opportunities for us to come together as the ISB family throughout this coming year. 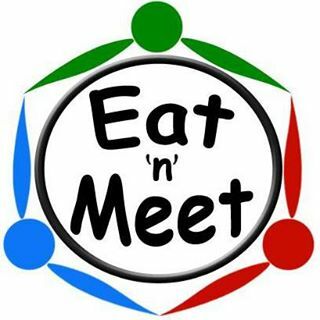 In fact in February we will host a members event so that we can reconnect with one another and take inspiration from notable speakers as well as one another. December 14th was the first in a programme of regional development courses for YM. 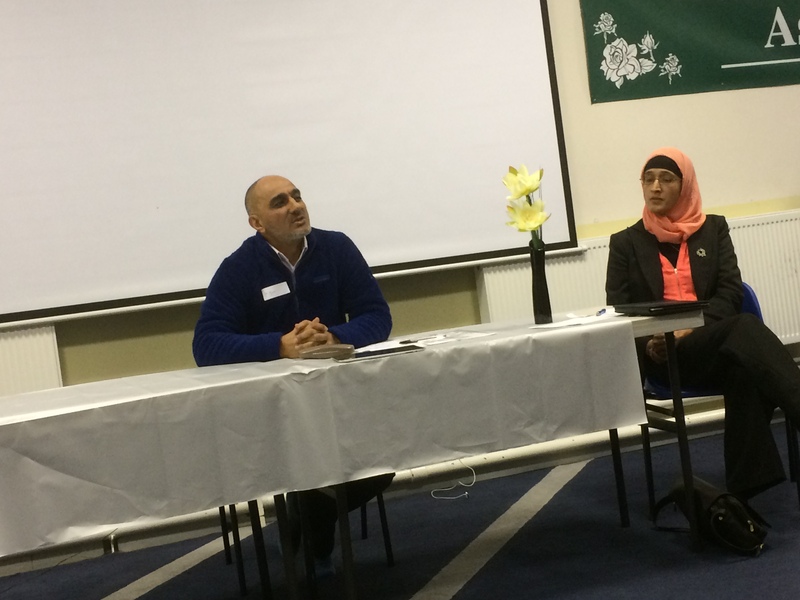 Entitled ‘Catalyst for Change,’ the programme was held in Altrincham and attracted nearly 50 young boys and girls aged 14 and above for four hours of talks and workshops conducted by Dr Munir and Darren Cheesman. Dr Munir is one of the imams at Altrincham mosque and ex-President of ISB and Darren Cheesman is an England hockey player who plays at an international level. The objective was to examine the concept of leadership in Islam as well as to examine our own outlook towards leadership and goal setting in small group workshops. Overall, the content was incredibly stimulating and exciting for our young adults, as one would expect with such a calibre of speakers. Attendees examined the Prophet’s character, the Islamic injunction to perform all our tasks to the best of our ability as well as looking at what qualities are necessary to procure excellent performance. We plan to hold a training event a term touching on media engagement, the Islamic character, public speaking etc…for the North west region and are happy to open to others who wish to travel from outside. 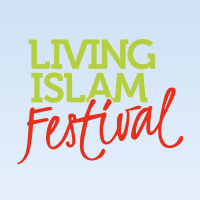 My name is Dr Hammad Lodhi and I joined ISB at this years Living Islam Festival. I was extremely impressed by the leadership of ISB throughout the event. The delivery of the Festival was at a very high standard and it is rare to see such professionalism from a voluntary organisation. 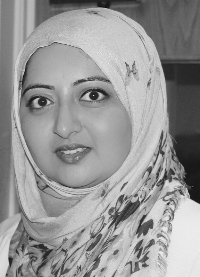 We are a forward looking, grassroots organisation and want Muslim doctors to play a strong role in their profession and in supporting communities in the UK and abroad. 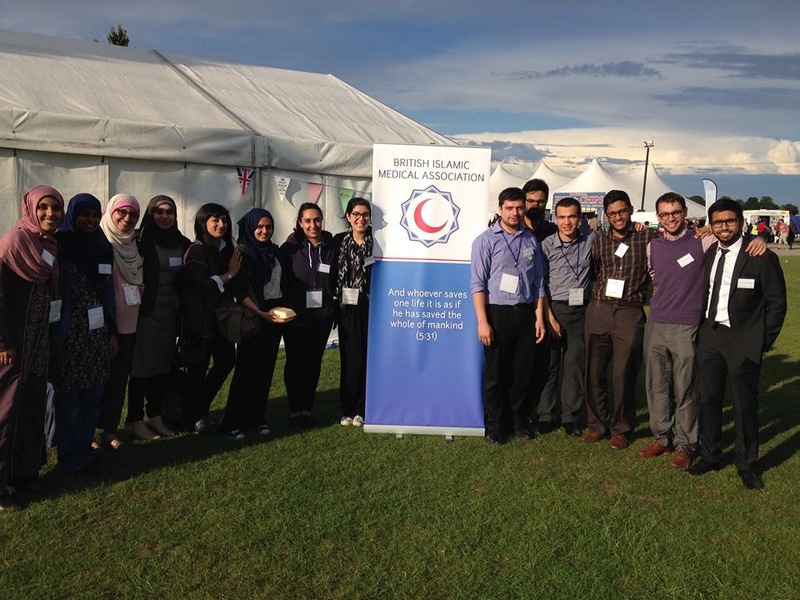 We hosted the Health Stall at the Festival and have held events in mosques and communities nationwide. We’re especially proud to have taught the Imam of East London Mosque how to do CPR! I hope that I can use the ISB professional networks to further my personal spiritual development, connect with likeminded peers, and also help me with my voluntary work. Insha’Allah in the future I hope to support ISB in it’s aims in developing and nurturing Islam in Britain. Two scout group sessions have taken place with around 12 boys attending each session. The first was a trip to Lazer zone in Bradford where the boys had fun running around blasting each other, it got a bit competitive but the boys all had a great laugh together! The second session was a cosy night at home with hot cocoa and cookies. The focus was to discuss and learn about the Prophets, particularly Prophet Isa (peace be upon him). Feedback from the boys and parents alike was excellent and the sessions were thoroughly enjoyed by all. 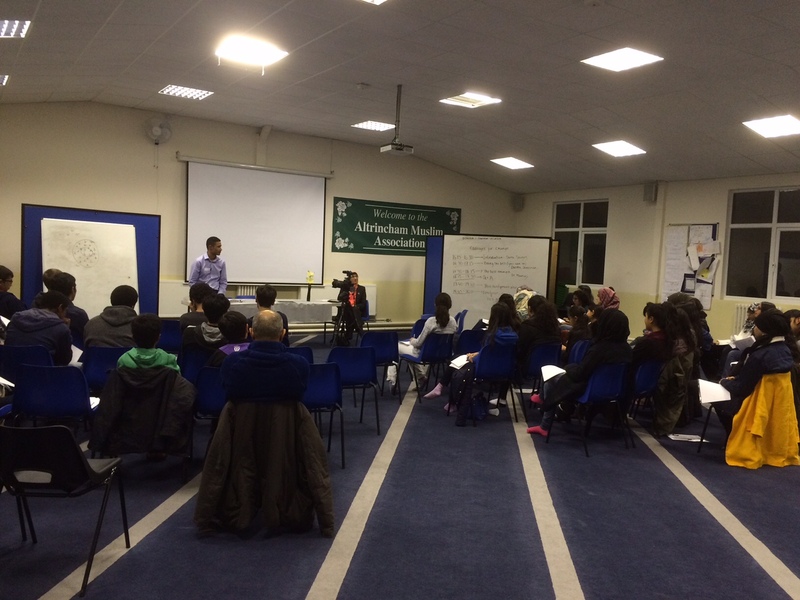 Brother Maroof Shaffi has kindly offered to support the sessions on a monthly basis from January 2015. Hara, former YM member, has successfully initiated a weekly Sunday toddlers group at Fairweather Green Community Hall. This is a recent addition to ISB Bradford projects and already proves to be popular with ten children in attendance, looking set to expand insha’Allah. Our local community centre has agreed to loan us their minibus for monthly outdoor trips. We are hoping to open this group to other faiths and are in early talks with the Christian community to join us. We are planning a shopping trip to Harrogate and visit to Betty’s Tea Rooms in January 2015 inshaAllah! A few Dine at Mine dinner parties have taken place to raise funds for Islamic Relief’s Syria appeal. These have been well attended and two other Dine at Mine events have been planned for late January onwards. It costs around £150to provide a meal for around 80 homeless people. A polite request is being made to family and friends for donations. To help sustain this project and to enable us to do more to support the homeless we want you to take part in our 500 mile charity challenge. This is an opportunity to get active and raise money for a good cause. You can run, cycle or walk 500 miles over twelve months. Complete the miles individually or share the miles out between family and friends! Leicester branch is working with One Roof Leicester to provide emergency accommodation for at least 10 rough sleepers for three months this winter. ORL needs to raise £25000 to provide accommodation for those homeless people who are ineligible for benefits, banned from the homeless housing, and/or without any other support network. Alongside the accommodation they will provide support and a daily hot meal. There have been two deaths amongst the homeless recently and we want to ensure no other homeless person dies on the streets of Leicester. Please donate generously. Despite the cold weather and dark night, at least fifty people attended the event. We were very fortunate to have brother Al Faathi who spoke about Prophet Isa (A.S)and Dr Riza Mohammed who spoke about the ‘Power of Time’. The event was a real success with activities for both boys and girls scouts.